Finding meaningful ways to engage with our community and environment helps create nourishing connections which foster a sense of purpose and belonging. These connections are especially important for those living memory loss, including Alzheimer’s and dementia. 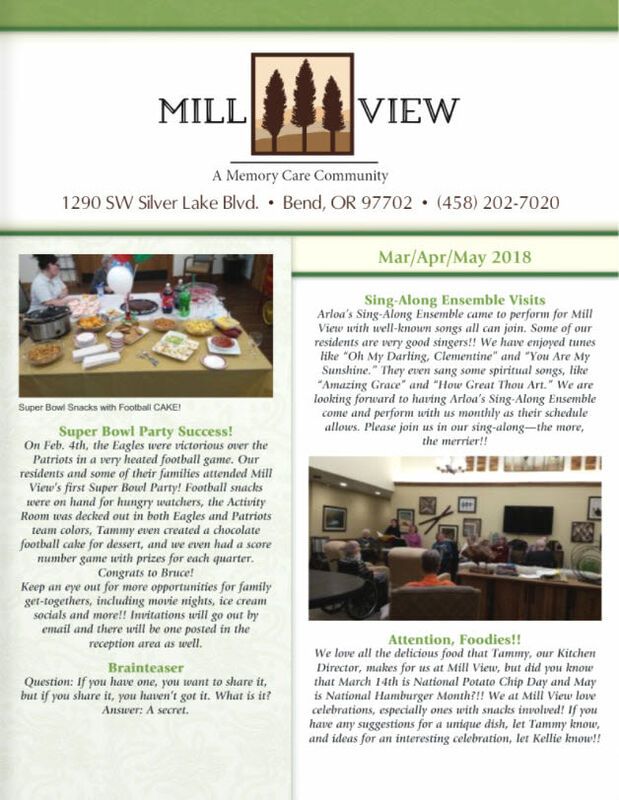 At Mill View Memory Care, every element of our boutique Memory Care community is designed to encourage these connections by providing thoughtfully curated activities and events based on the unique needs and abilities of seniors. From daily activities to off-site excursions, Mill View Memory Care offers the right kind of engagement for optimal lifestyle enrichment. Sensory stimulation is something many of us take for granted in our everyday lives. While the meetings, emails, and constant flow of daily living can be tiresome, they also provide an essential element of stimulation that we need. As we age, our response to stimulation may change, but our basic need for engagement and purpose often remains. This is why our expert Memory Care providers work to offer appropriate stimulation in the form of activities which mimic daily life with simple tasks, like setting a table, or exciting trips into Bend to enjoy museums, shopping, and more. From everyday activities and community connections to creative endeavors and more, residents of our community engage their senses every day. 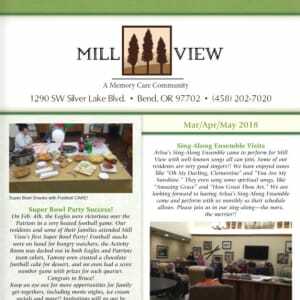 Visit Mill View Memory Care today to learn more about life in our community. Call today to schedule a visit.